Dale's indepth knowledge of the Moore County Market and dedication to the highest level of Customer Service has given him a reputation of integrity and professionalism. 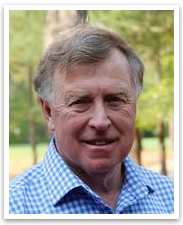 Dale's excellent marketing programs and superior negotiating skills are great assets to anyone looking to sell or purchase Pinehurst NC Real Estate. ​The business of how Real Estate is bought and sold has evolved with new technology. Finding an Agent in the Pinehurst area that understands the needs of the new market place is one of the most important aspects to your success! Thinking About buying or selling a property in the Pinehurst or Moore County area? Call Dale at (910) 528.4652 or email at gopinehurst@gmail.com. I’m here to save you time and money on Pinehurst Real Estate.